Ending the sale of UK arms to Saudi Arabia for use in Yemen “would be morally bankrupt and the people of Yemen would be the biggest losers”, British Foreign Secretary Jeremy Hunt wrote in an article for Politico this week. It’s worth reading that again. According to our Foreign Secretary, it’s not continuing to arm the Saudi regime as it rains bombs on Yemen that’s morally bankrupt – but stopping arming them. The reality is that the arms sales that Hunt is defending have played a central role in creating the worst humanitarian crisis in the world. On the same day that Hunt pledged to do all he could to end the war, Saudi forces bombed a hospital, killing seven people. It’s unknown what the origins of the bomb were, but the question of if it was made in the UK or the US feels totally irrelevant when considering the terrible human cost. There is no doubt that UK-made bombs have been used in attacks on people and vital civilian infrastructure. Some of these attacks have been meticulously analysed in the latest report by Mwatana for Human Rights, a Yemeni-based human rights organisation. The report “Day of Judgment”: The Role of the US and Europe in Civilian Death, Destruction, and Trauma in Yemen” is one of the forensic studies of the terrible humanitarian cost of the four year war. Despite the terrible human cost of the war, the UK Government has worked overtime to keep arming and supporting the Saudi-led bombers. It has licensed £5 billion worth of weapons since the war began, including many of the fighter jets flying over Yemen and the bombs and missiles they are firing. 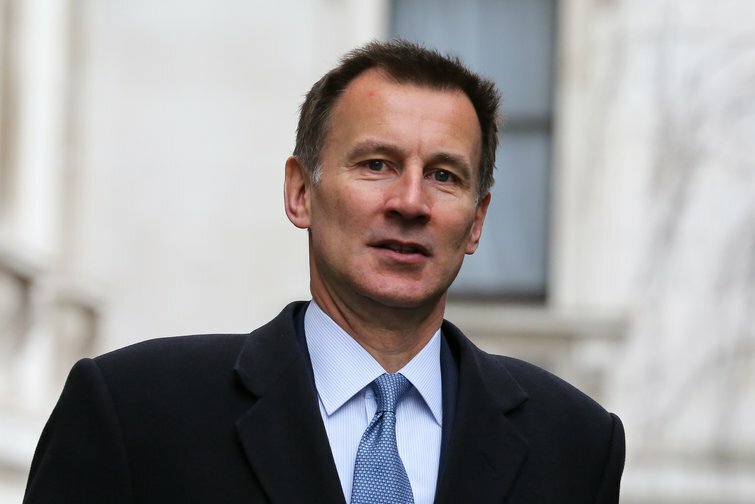 The extent of Hunt’s desire to please the dictatorship and the arms companies was made clear last month, when he wrote to the German Government urging it to reconsider its recent embargo on arms transfers to Saudi forces. Germany is one of many European countries that has ceased the sale of weapons for use in Yemen. The legality of UK sales will be considered by the Court of Appeal in London next month, when it hears a claim by Campaign Against Arms Trade. We believe that these sales are not just immoral, they are also illegal. UK arms export law is very clear in stating that if there is a “clear risk” that weapons “might” be used to commit “serious violations of international humanitarian law” (IHL) then a sale should not go ahead. The Saudi Air Force has been accused of many extremely serious breaches of IHL, not just by CAAT, but also by a UN expert panel, the European Parliament and some of the most reputable human rights organisations in the world. There is a lot riding on the result. If the case is successful then it would set a vital international precedent and could play a major role in changing UK arms export policy. Equally, if it is unsuccessful then it will be regarded by Hunt and other Ministers as a green-light to continue pouring weapons into the war. Despite his role as the front-man of UK foreign policy, the problem is not Jeremy Hunt. He is just the latest in a long line of Foreign Secretaries that have prioritised arms company profits over human rights and lives. If Hunt resigned tomorrow he would almost certainly be replaced by someone else that would do the exact same thing. We, and many others across the world, are campaigning to end the vision, policies and mindset that has allowed such morally bankrupt policies in the first place.